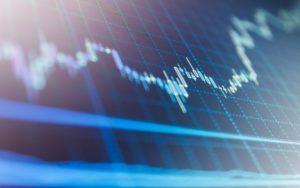 Huobi just announced the launch of its cryptocurrency derivatives trading service – Huobi Derivative Market (Huobi DM). The Singapore-based exchange says the platform will initially handle USD-denominated Bitcoin Contracts. The cryptocurrency exchange platform announced the launch of Huobi DM at the Cryptofrontiers conference in New York on Wednesday (November 28, 2018). According to the company, Huobi DM represents the next big thing in virtual currency trading combining cryptocurrency derivatives and a plethora of digital asset trading services. Cryptocurrency is a rapidly expanding and maturing market. As part of that maturation, we see more and more sophisticated investors and traders from more established financial markets looking to gain exposure, including institutional players. At the same time, we think many experienced, successful cryptocurrency traders are looking for a broader range of investment tools than has traditionally been available. Huobi DM is tailor-made to address these sorts of needs. Huobi DM will offer weekly, bi-weekly, as well as quarterly contracts. Settlement for the weekly and bi-weekly contracts will occur on Fridays, while that for the quarterly contracts comes up on the last Friday at the end of each quarter – March, June, September, and December. While Huobi recognizes that it isn’t the only player in the virtual currency derivates market, the company remains confident of the uniqueness of its offering. According to Huobi, its crypto derivatives platform has some advantages over similar services in the market. For one, Huobi DM offers flexible leverage options (1X, 5X, 10X, and 20X), as well as robust risk management protocols. The platform also offers zero trading fees for market makers and investor protection which includes a 20,000 BTC insurance fund against all forms of losses. According to a statement on the company’s website, BTC contract will be the first to be launched on Huobi DM. The BTC contract will be USD-denominated with the cryptocurrency itself serving as the means of settlement for trading profit/loss. The statement also revealed that each BTC contract has a face value of $100 with the minimum change in order book price set at $0.01. Huobi DM is already in Beta testing but is not available to the following countries. The United States of America, Singapore, Israel, Iraq, Hong Kong (China), Cuba, Iran, North Korea, Sudan, Malaysia, Syria, Samoa Eastern, Puerto Rico, Guam, Bangladesh, Ecuador, and Kyrgyzstan. Do you think Huobi DM will be able to fare favorably with the other cryptocurrency derivatives platforms in the market? Let us know your thoughts in the comment section below. The post Huobi Debuts Cryptocurrency Derivatives Market Platform appeared first on Bitcoinist.com.